Desiree Lee is a certified Vinyasa Yoga Instructor and Kundalini Teacher as well as a Reiki Master and Artist. She uses her creativity and intuition to craft a unique, strength building & spiritual practice. She guides a variety of yoga classes from Vinyasa and Sculpt to Yin and Kundalini. Desiree enjoys to play with the balance of fun and self discipline, of strength and surrender, of yin and yang energy. She loves to plant seeds of thought that encourages students to look within and find the mirror of life in our yoga practice. Lindsey is a 500-hour certified yoga instructor, but continues to expand her yoga studies, attending many workshops with amazing teachers. Lindsey was first introduced to yoga while attending UCLA where she was playing on the women’s basketball team. Upon graduating, she traveled overseas to play professional basketball in Sydney, Australia and Pamplona, Spain. It was in the land down under, with world-renowned yogi Duncan Peak of Power Living Yoga, where Lindsey found her passion for yoga. Back in America during her off-season and wanting to share her passion with others, she attended teacher training. Lindsey has studied with Seane Corn, Maty Ezraty, Hala Khouri, Kumudini Ma Nithya among others. She, now a 500-hour certified yoga instructor, continues to further her love for yoga and expand her studies. Bridging her yoga with social activism, Lindsey founded the nonprofit foundation, With My Own Two Hands Foundation (www.withmyown2hands.org), seeking to provide sustainable solutions to projects benefiting children in need in Africa. Lindsey regularly travels to Africa with her foundation, taking her yoga off the mat and into the world. Sheree began practicing yoga in 2006, and became a certified teacher in 2010. Inspired by yoga’s transformative power—both internally and externally, she strives to provide a safe, light-hearted class atmosphere that allows students of all levels to feel successful in their practice. She guides each class with an emphasis on developing body awareness and a balance between strength and flexibility. Her classes range from peaceful and relaxing to sweat-inducing vinyasa flows, but always expect playful and unique sequencing with plenty of options (from modifications to up-levels), and a warm & friendly teaching style. In 2012, after completing Level 2 Teacher Training with Baron Baptiste, Diana became a certified RYT 200 yoga instructor. Her classes are inspired by the Baptiste Yoga methodology, focusing on breath and body awareness. 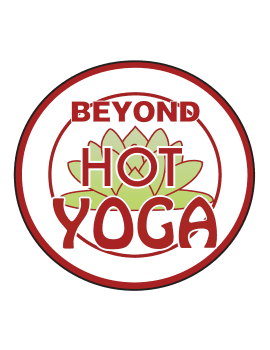 Being of service and empowering people through yoga is a passion Diana fulfills by teaching locally at Beyond Hot Yoga in Laguna Niguel and growing her online community, hitPLAYyoga.com. Students of all levels are encouraged to access the power within themselves as Diana offers space for exploration and growth in every class. Debby Dowling, E-RYT 200, has been a fitness and pilates instructor since 2007. After taking yoga on and off for 15 years as just a way to stretch, she finally got the true meaning of yoga once she hit her 40s and fell in love. She began practicing almost daily and it was only through yoga that her body began to change in ways that it never did before. Debby is living proof that yoga truly turns back the hands of time for both your body AND your mind. Her classes are designed to be fun yet challenging in a way that helps all of her students make the physical, emotional and spiritual connection. Forever a student, Debby has also had the opportunity to practice and train with other great yogis including; Seane Corn, Kelly Doyle, Briohny & Dice lida Klein and is currently studying under Shiva Rae to complete her 500 hour training. My greatest loves in life are my family, the outdoors, yoga, and inspiring people to find and be their best. I started out a runner, accomplishing 3 marathons, I crossed trained as a spin instructor, going on 20 years now. I also love to mountain bike , long distance road rides and to paddleboard. I am a BobyPUMP /Core instructor as well...... but I have always been a yogi (even before I knew it). I believe in movement in many forms as a form of moving mediation, a way to cleanse negative stale energy and to connect to our most vital and beautiful selves. My goal has always been to use these tools in a fun way to empower people and to inspire people to their highest, best, most lovable selves so that when they walked out of any class, they would feel brighter. taller, more confident and uplifted. My wish is that all people I am graced with touching through my practice/classes are uplifted and emerge more trusting of themselves, more loving of themselves and more deeply connected to their own most beautiful authentic self ~ on and off their mats. Yoga should melt stress, initiate healing and inspire joy, simply with breath and movement. I completed my 200 hour Hot Power Vinyasa Flow Training as well as Yoga Sculpt with Carolyn Long Yoga. I will always be deeply grateful for the loving wisdom Carolyn shares with me.I have also studied in at the Sattva Retreat center in Rishikesh, India with Anand Mehrotra . And over the last 6 years I have done many YogaFit trainings, my favorite being Yoga for relieving trauma/PTSD/abuse. I will finish my 100 hour certification this summer. No matter what class I am teaching I open my heart and my class to ALL ,in a non judgmental non competitive atmosphere. I love to combine creative sequencing, a spirit of playfulness and a dose of inspiration to help you deepen your practice and create a profound sense of peace. Barbara Campins is a passionate Yoga Instructor and Holistic Health Coach. She was born and raised in Venezuela and has always had an interest in wellness and spirituality as a child specially after her mother healed from an ovarian cyst with Yoga and Ayurveda. Her deepest desire is to unlock in her students, clients and herself the infinite possibilities of growth from the inside out. She has always been athletic, curious about food and it's healing properties and cared for beauty in the body as well as in the heart and mind. Through self-care, yoga, fitness and health education she inspires people to develop a healing relationship with food, to admire their bodies and in turn attain an energized, happy and balanced life. She teaches fun yet challenging classes that focuses on meeting and honoring where the person is at, yet strengthening their core, building connection to the breath, the mind and spirit. Barbara is an *E-RYT 200 and a graduate of the Institute of Integrative Nutrition. She offers private and group yoga classes as well as individual and group health coaching. Laura Love would describe herself as: “a yoga lovin’-earth mama”. She is a mother of 3, loves to travel, and has been teaching yoga since 2006. The path of a teacher has truly been one of the most beautiful blessings in her life. She began teaching under the apprenticeship of Jason Wilkerson- owner of Yoga Tribe in Huntington Beach in 2006. Since then Laura has completed the Dayton Method 200 hour Teacher Training, YogaWorks Prenatal Teacher Training, and It's Yoga Kids Teacher Training in San Francisco. Most recently, Laura completed a 100 Bhakti Yoga Training with Govind Das at the Bhakti Yoga Shala in Santa Monica, CA. Her class is dynamic, heartfelt, and aims to inspire growth. Laura also leads wellness programs, as well as local & international yoga retreats. Her goal is to share what she has learned so far on her yoga journey, learn from her students, and move forward with them everyday. The practice of yoga has profoundly changed Laura's life, in the way she sees the world and her connection to everything & everyone around her. She feels her purpose in this life is to share that light with others. Shannon Mancini is a true southern belle at heart, spending her first 22 years in the suburbs of Georgia, but now has the pleasure of residing in Laguna Niguel, California with her husband Mike. Shannon has been teaching Vinyasa Flow Yoga for over 3 years, but her journey started off completely different than where it is presently. When she moved here in 2007, a friend convinced her to try Bikram Yoga, and for a couple of years this suited her type-A personality of go further, push harder, do more. It wasn’t until she developed an injury where she had to step back and take a look at WHY she was spending 90 minutes in a 115 degree room at 50% humidity to only usually feel depleted and unfulfilled after? After taking a well needed break, she returned to a different studio with a similar sequence, but the atmosphere was the total opposite of what she had been used to. At the end of her first class, she laid in savasana, and couldn’t help but cry because this was the feeling she was looking for all those years, just in the wrong place. It was through her connection to her breath that she discovered a completely different element to her yoga practice. Shannon truly believes that developing a harmonious connection with ones breath allows us to come into a state of being completely present, and it is in these moments where healing truly happens. She teaches her classes with a certain grace that supports the softer side we all are deeply desperate to expose. Her fascination with music and the ability it has to heal guides her to build playlists that support movement and openness as her students flow through class. Her goal as a teacher is to provide a space where students can come practice without judgment, expectation, or ego, but just from the heart, honoring whatever their souls have to offer that day. I began my yoga journey in the summer of 2011 and like a spark to light my inner fire a steady hot vinyasa practice lit me up. I was inspired to share what I found in myself with others through yoga. My aim as a teacher is to empower the people around me and in the community to live the life they love. My classes focus on breath and awareness either flowing through or relaxing into balanced and thoughtful sequences. I teach vinyasa, the 26 Bikram Hot Yoga postures, restorative, and yin yoga styles as well as meditation and Yoga Nidra. I am also Reiki II certified, trained in EFT, and host classes/workshops on Essential Oils. I am currently continuing my education as a Holistic Health Practitioner and massage therapist. I am passionate and humbled by the sacred journey yoga has to offer. I invite students to explore with me, open the doors of their mind, body, and spirit to discover their present being and potential. Lauren is a graduate from the Tamal Yoga School (RYT 200) and is also a certified Personal Fitness Trainer (NESTA) with years of research in nutrition - college based and work related. Originally from Colorado, born into an adventurist family, Lauren has always been an athlete – an avid runner and yogi. She incorporates the fundamentals of yoga in her class with a focus on breath in order to heal and strengthen the mind, body, and spirit. It brings her great pride to see her students excel in their practice! She advocates the maintenance of a diverse exercise regimen paired with well balanced, nutrient rich diet. Lauren seeks to educate and inspire everyone to lead a “whole-health” lifestyle. to have found yoga and I plan to continue to study and grow from it so that I can share its beauty with those around me. Lacy began her yoga journey when she was just 15 after being introduced to a studio in her hometown of Laguna Beach. Ever since then she has worked in the health and wellness industry, always wanting to dive into the world of teaching. Eventually, in 2016 she decided to take the plunge and enroll in her first 200 hr. Teacher Training. Injuring herself just weeks before the start of the training she became determined to use her injury to her benefit by dedicating her studies and practice to learning as much as she could about the body. Now with multiple training under her belt, Lacy is working with students of all levels teaching everything from Vinyasa to Hot power flow to Sculpt. Her positive attitude, mindful sequencing, and willingness to slow things down in today's fast paced yoga world makes for the perfect way to start or end your day.